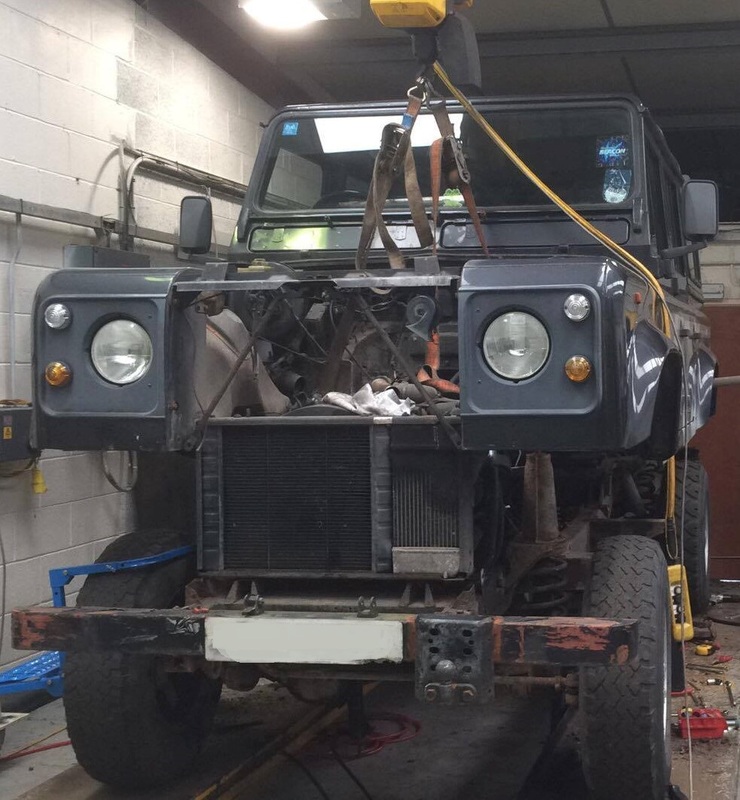 We purchased this Defender 110 County in 2014 with the intentions to make it a personal project. 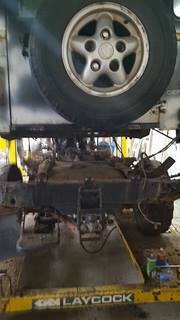 However, it grew interest and we knew we had to let it go! 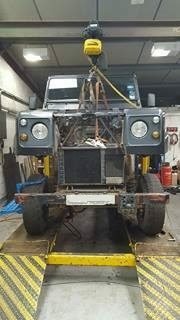 With plans to replace the chassis and various other components this 110 was ready for some TLC. 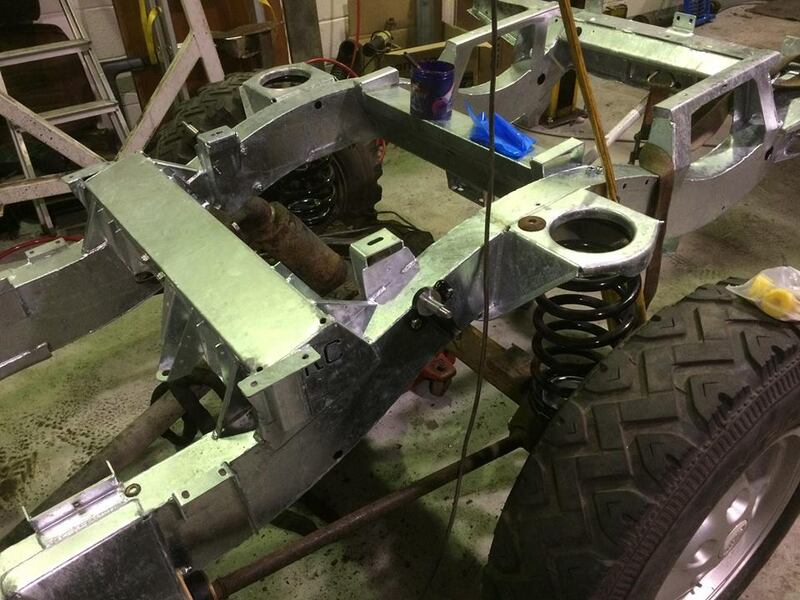 So we started by unbolting the body from the original chassis, leaving the engine, gearbox and axles in situ. 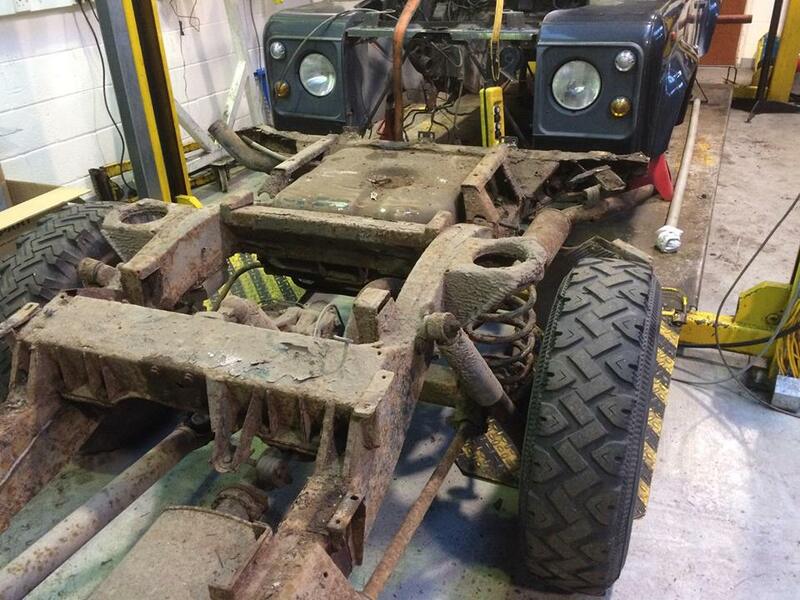 Once the body was free we had the task of lifting it to allow the chassis to be removed. 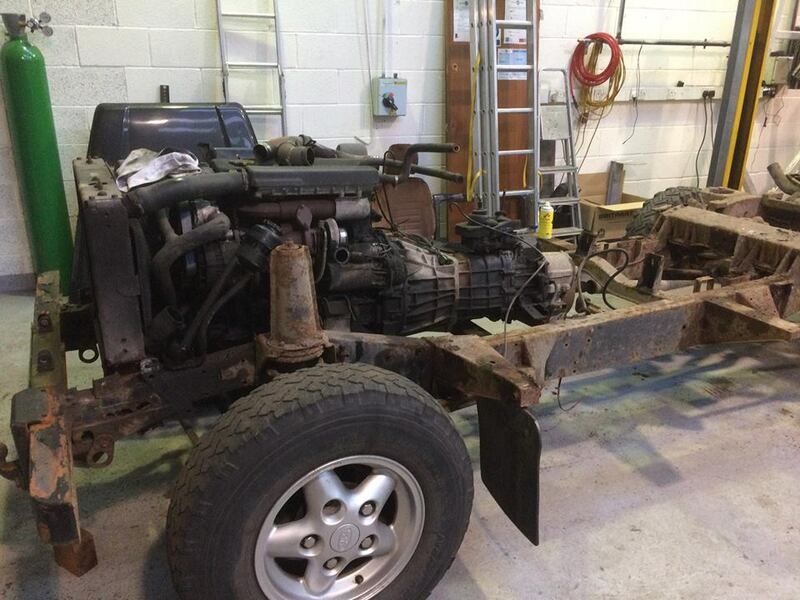 After the chassis was free it was time to strip it down, taking the engine and gearbox away and also the axles to be re-fitted once the new chassis was in place. 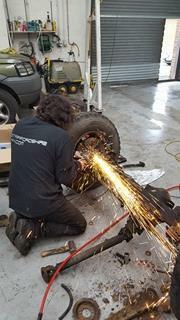 We also upgraded the original shock absorbers and suspension springs. 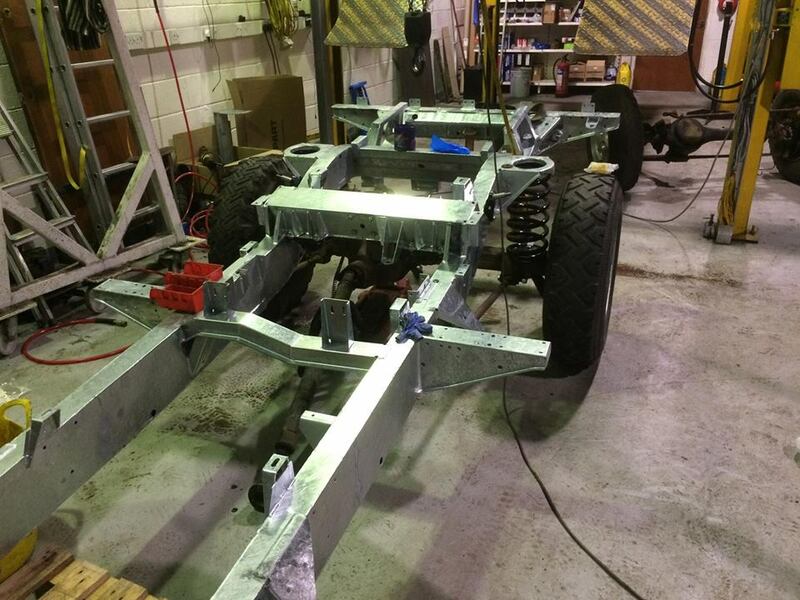 The final touches :- With the new chassis in place, all we needed to do was fit the engine and gear box and re-build the vehicle. The body had seen better days with patches of white aerosol spray paint dotted around. 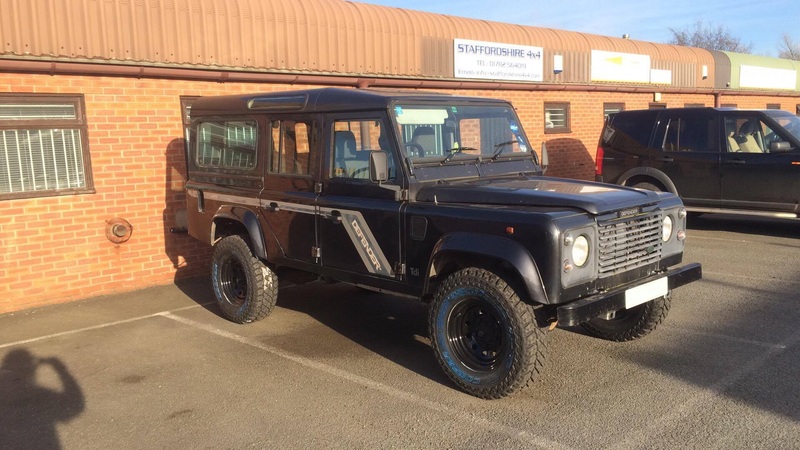 A quick wipe with thinners and a colour match touch up and it was ready for collection! 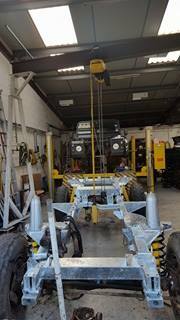 What we did :- Replaced original chassis with new galvanised chassis. 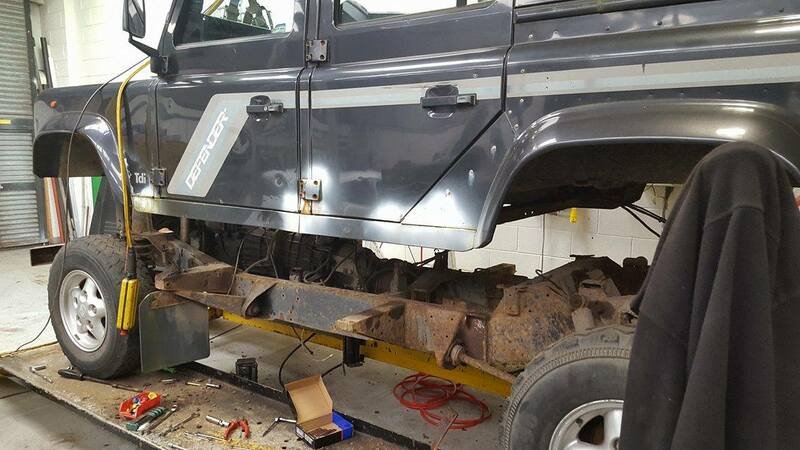 Upgraded suspension assembly with new shock absorbers and springs. 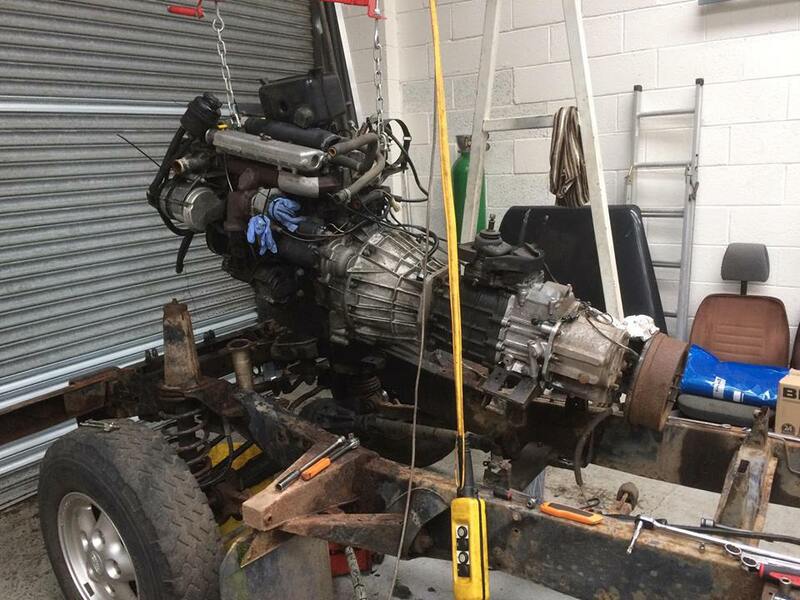 Lifting its spirits. 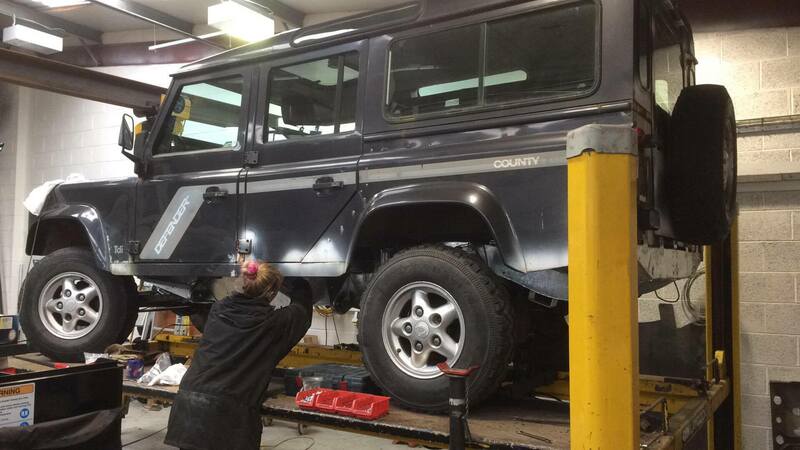 Touched up body work to keep original colour looking fresh. 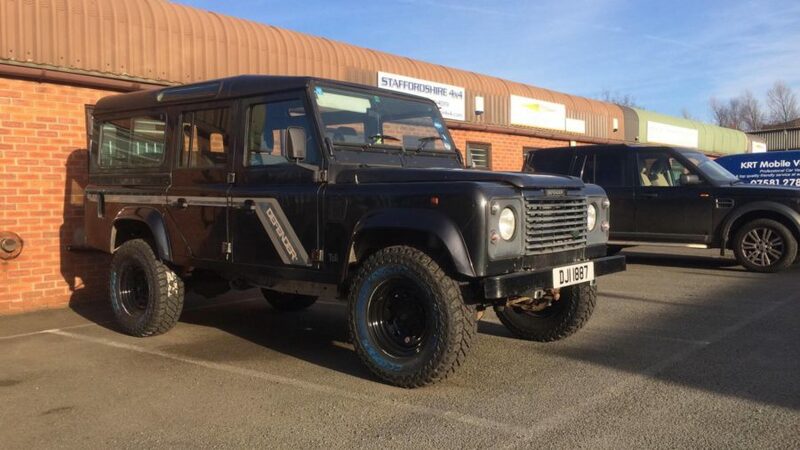 Result :- One stunning 110 County, One happy customer. Thumbs up!